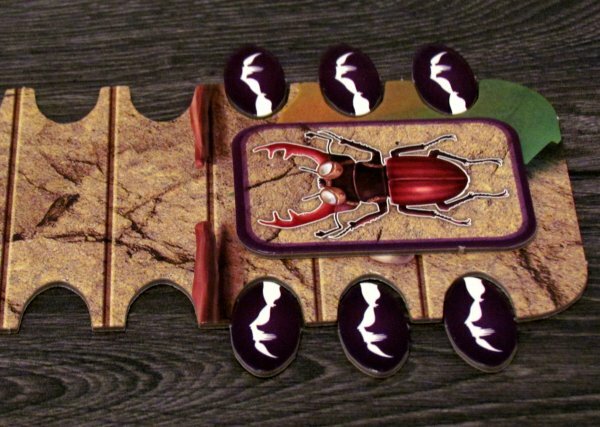 Would you believe, that beetles compete in races? When we see them, they usually hide their sprinting abilities and crawl very slowly. But when you do not look, they start to run fast. Their only obstacle is number of feet. Six is too much for an endurance race and already the first corner, they begin to knit. Racing beetles must carefully train every day and even that does not guarantee them automatic success. Maybe, they can win with your help. 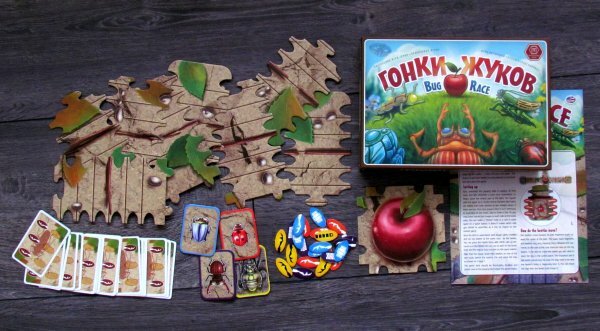 Each player becomes coach of one beetle in board game Bug Race, which comes from Russia. It was created by Alexey Konnov and Anatoliy Shklyarov. 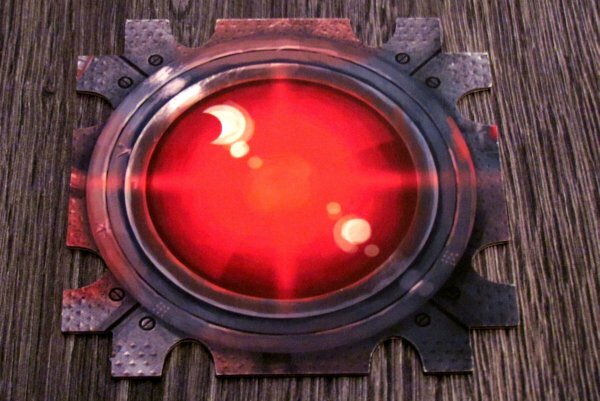 It is a novelty from company Rightgames LLC for 2014, presented at the fair Spiel 2014 in Essen. Board game is this time hiding in a larger cardboard box and in the middle of the lid, there is a major prize for winner. Red apple. There are also three beetles, who will fight for it. And similarly, its all waiting for us in a box, that is largely described by Cyrillic letters. Inside await big cardboard pieces, that are used to create a racetrack. Its dominated by central part with apple. All other parts look a bit like a caterpillar, with semicircular notches on the sides and divided into six racing fields. 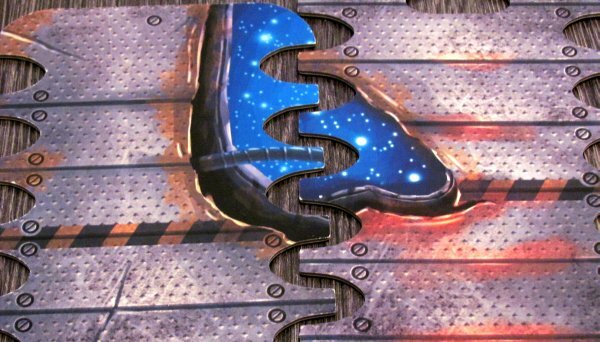 At the very bottom of the box, there are only boards with bug racers and a deck of cards. Multilegged athletes will also be interested in the fact, that their pieces are reversible – while ordinary beetle is ready for the races in the woods, other side has strung suit and will race on the Moon. 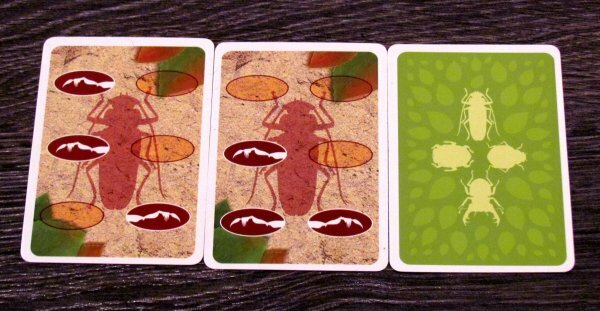 Cards have depicted a grasshopper and six positions for the feet, of which just some are marked. These will allow players to move the bug, when played. Legs themselves are represented by elliptical tokens in player color. 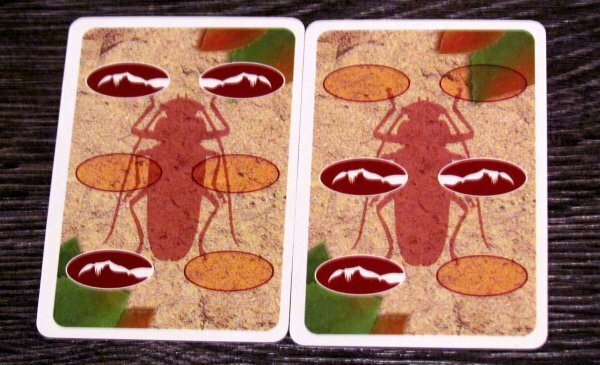 It is these feet tokens, together with beetle tile, which gets a player once he chooses his favorite color or insect. 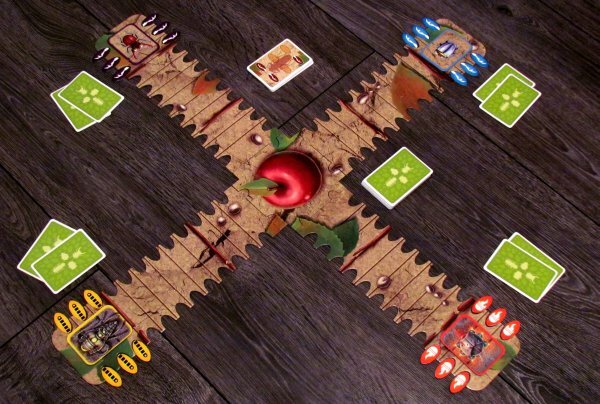 In the middle of the table, players create a game board in the shape of a cross and put each athlete at the beginning of one line. Around each bug are distributed ellipstical leg pieces on starting position and sprinting can begin. 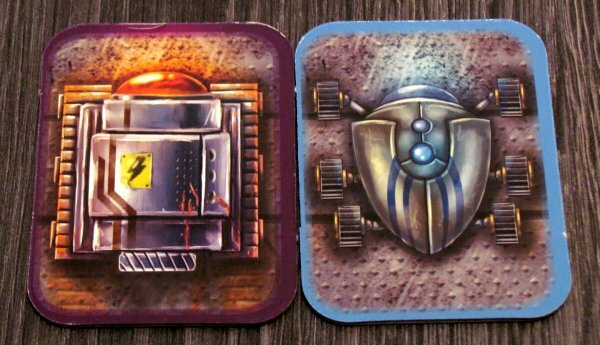 At the beginning of each round, all players receive two cards from a shuffled deck. One of them is a keeper, while second must be passed to a neighbour. If the game involves more opponents, direction for passing card change each round, so one card goes to the left and the other to the right. Players can choose card, that suits them the best. Resulting pair of cards can then be played in any order, while trying to move as many legs forward as possible. But it is not easy, because every limb can only move one step forward to a vacant position. In addition, it can never get too far away from bug´s body – only up to a diagonal. Often it is not possible to use all moves on the card. 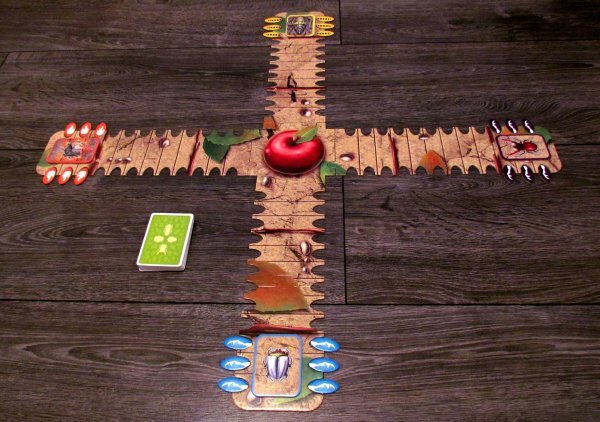 Race continues with drawing and playing cards up to the moment, when one of the beetles crosses the finish line and wins apple for itself. 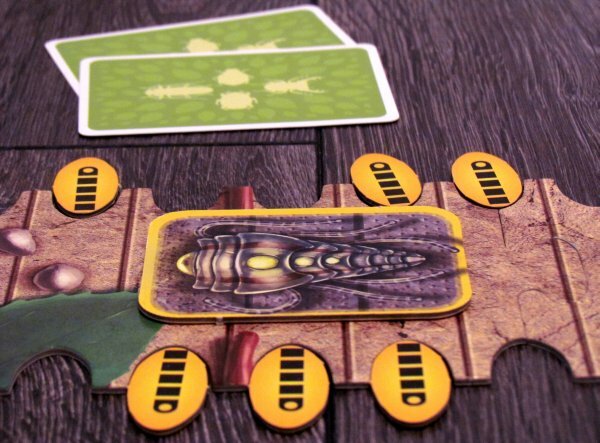 Bug Race is a very simple game, that puts its whole entertainment on the back of a draft. 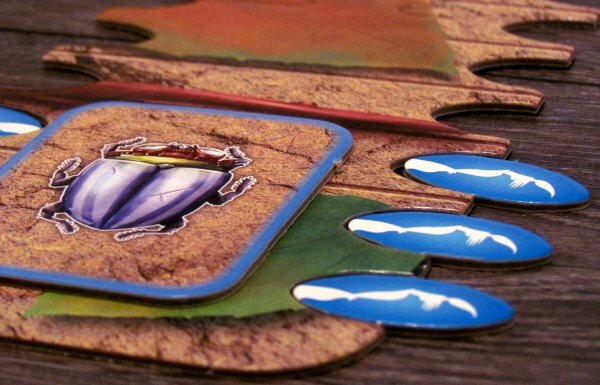 And it´s surprisingly nice change from all those overcombined board games, that are trying to link different mechanisms and come up with something new. There is nothing new in here. And at first, you will not mind. 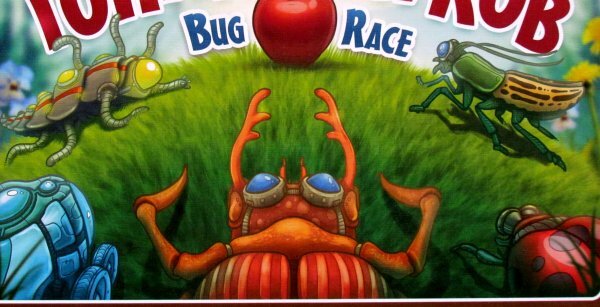 However, if you play more games in a row (or too often), you get tired of Bug Race. This is now evidence, that its simplicity is the real extreme and would be appreciated only by families with children. 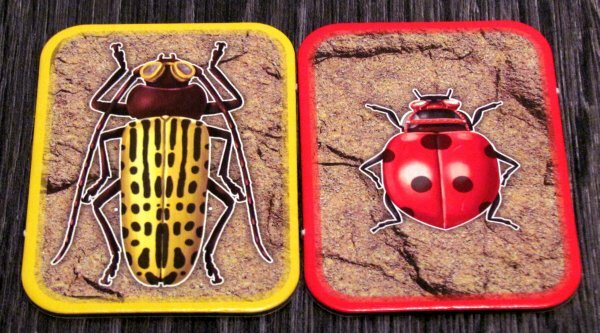 They are also the best target group for this game, because children are easily attracted to beetle racing. The game itself is strongly dependent on luck. Choosing one card from two randomly dealt is not much control. Additionally, after you get a second card from your opponent, you must use it as well. And that is certainly not in favor of your success. Players have an obligation to move all limbs, which can be moved and there is no reason not to do so. 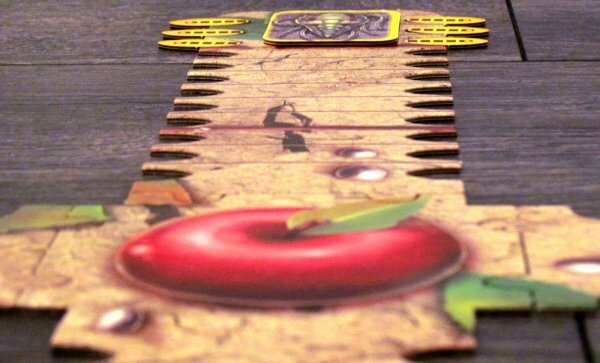 They have to only correctly plan the order, because at the right moment, you can move not only feet, but also entire beetle and get it little bit closer towards desired apple. The game is really not only extremely simple, but it does take no time at all to complete. 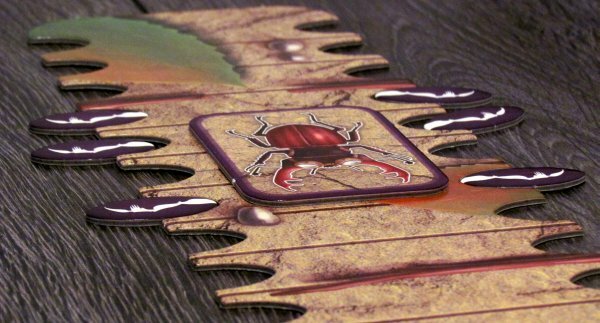 Although the beetles are crawling forward at a slow pace (length of the race can be adjusted, because each leg of course consists of two pieces), everything is moving ahead quickly. Players do not interfere with each other in any way, so it really does not matter, how many participants are competing. Bug Race will attract only children and offer them fun with simple random draft. Neither the advanced rules in selecting and sending four cards could save this impression from being true. 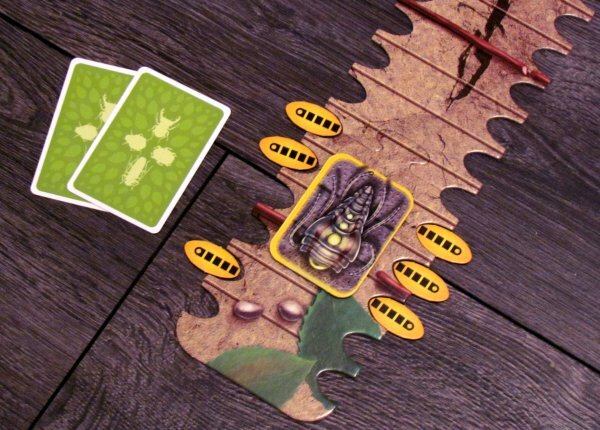 Luck in here is simply too overpowering and players only have little control over their insects. 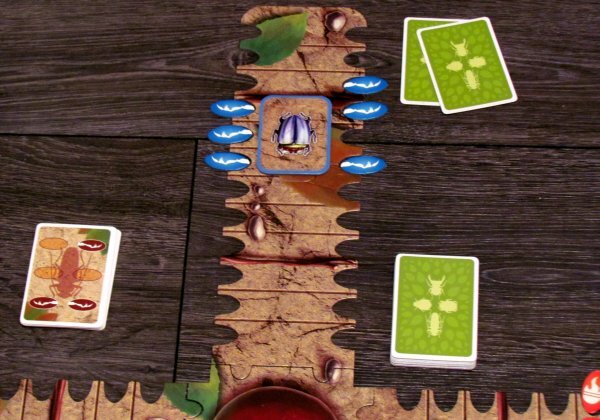 Bug Race remains a mediocre game, that is not downright bad, just.. too simple. Review: Bitten nicht Füttern – please do not feed!